I usually prefer sweet to savory, but this galette was a devoured in our house this week. Not only is it gorgeous, but it is full of juicy, flavorful tomatoes, a creamy basil-cashew sauce, and a buttery, grain-free crust—truly a winning combo! Galettes have been my favorite way to get that pie flavor without all the work. You don’t need to fit it into a pie pan, trim edges, make a pretty border, etc. No, you just roll, fill, and fold, and it still turns out looking like a masterpiece. Those are my kind of dishes…impressive, but fairly easy. Although my gardening skills are limited to herbs at the moment—I have a bounty of basil, rosemary, mint, lavender, and Italian parsley ftw though— I found a bunch of these gorgeous heirloom tomatoes at the market the other day and knew I needed to make something with these beauties! The crust is probably my favorite part. 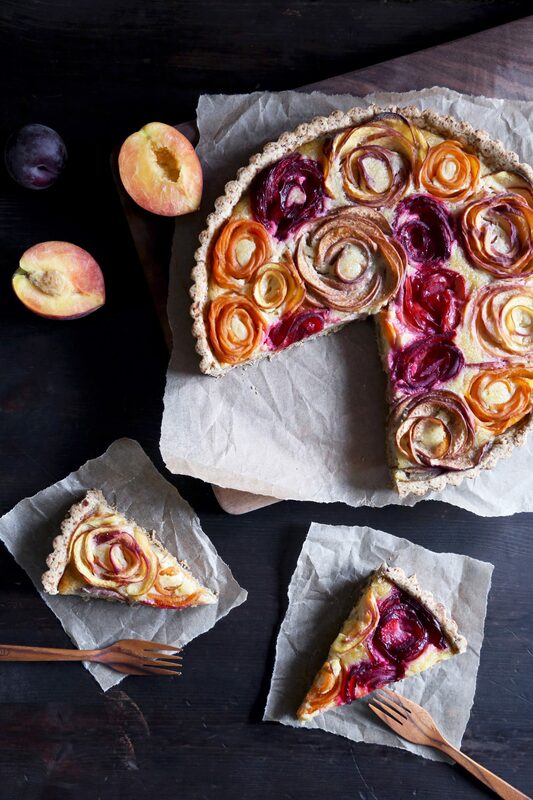 It’s so delicious paired with this savory filling, but it would also suffice as the base for some juicy peaches, plums, or any other yummy fruit you have on hand. I use butter for the taste, but you could also use palm shortening or this vegan crust, made without egg or dairy, if needed. Although my body can tolerate butter, it doesn’t do too well with cheese so I eat it very sparingly (usually save it for pizza binges..because PIZZA!) I made this cashew cream instead, which I blended with fresh basil, garlic, and lemon juice—so good! If you’re a cheese lover, feel free to use ricotta instead. Details in the instructions. Note: The dough is a little sticky, so parchment paper is essential to help you roll it out easily and pleat the edges, like in the photo above. This dish is a perfect way to say goodbye to summer. If you give it a try, please let me know by tagging me in the pic or #wifemamafoodie on Instagram so I can see your creation! Love seeing what you all are whipping up in the kitchen! A delicious way to use up all of those juicy tomatoes and fresh basil from the garden! The butter crust is grain and gluten free, and can be adapted to be dairy-free. Paleo-friendly. Soak cashews in purified water for 1 hour or more. If you don't have much time, soak in boiling water for 30 minutes. Drain water and rinse well. Place soaked cashews into a small food processor or high powered blender. Add basil leaves, lemon juice and half of the recommended water and blend until creamy. Add additional tablespoons of water until it gets to a creamy "ricotta" consistency. Season with salt and pepper, and adjust seasonings to taste. Mix together almond flour, arrowroot, and salt in a large bowl. Use a fork or pastry blender to cut in the butter until crumbly and no large chunks of butter/shortening remain. Mix in honey and egg. Dough should be moist, but hold together in a ball. Cover with plastic wrap and press into a round disc. Refrigerate for at least 1 hour, until thoroughly chilled. Preheat oven to 375F. Slice large tomatoes thinly and half cherry tomatoes, if using. Place tomato slices on a few folded paper towels or clean kitchen towel to soak up some of the moisture. Roll out chilled dough into a large circle between two pieces of parchment paper. Spoon the herb cashew cream onto the center of the dough and spread evenly, leaving a 2-3 inch border. Place the tomato slices on top of the cashew cream and sprinkle with lots of salt and pepper. Use the parchment paper to help bring the dough up over the edge of the tomatoes, making pleats in the dough as you continue to fold it over. Brush edges of dough with egg wash and sprinkle the edge with more salt and pepper. 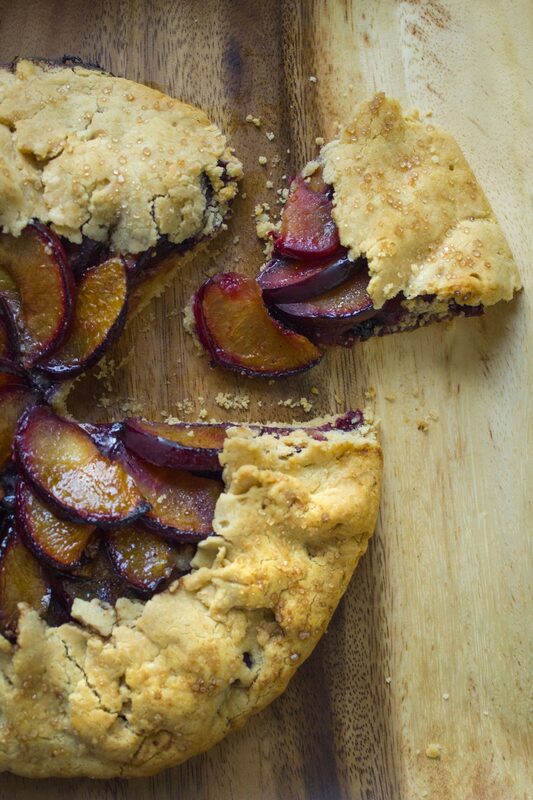 Leave the galette on the parchment paper and slide it onto a baking sheet. Place into the preheated oven onto the middle rack and bake at 375 for 30-35 minutes, until crust is golden brown. Cool slightly before serving. Top with fresh basil and a drizzle of balsamic glaze (optional). *Tip: Glaze can be made in advance and stored in the fridge. If it gets too thick from the cold, just place the container in a bowl of very warm water to heat it back up. Place balsamic vinegar and honey in a small saucepan and bring to a simmer over medium heat. Continue to cook, stirring often, until sauce thickens enough to coat the back of a spoon, about 10 minutes, give or take. Remove from heat until ready to use. Thank your recipe. How can I resist this dish? I have to apply immediately for my kids. Thanks, Kevin! I hope your family enjoys this as much as we did! Have a great week! Omg I’m dying to taste this! The crust looks so tender and flaky, and those tomatoes are beauties!! I wish my store had gorgeous tomatoes like that! A+++ as usual, Joscelyn! Your recipes never dissapoint! my comment just disappeared, trying again! love this galette, the pictures are gorgeous like always! This looks so pretty, wonderful colors 🙂 lovely pictures as always! Thank you so much, Manali. You’re always so encouraging! Do you know that yesterday was national pizza day and I just love piszza. One of my favorite foods to eat. I did not know that. Yes, I love pizza too, especially when it’s good for you. Thank you Stephanie! So many beautiful colors! Savory recipes that have a lot of colors and flavors are amazing! Thanks, Cassie. This one’s photogenic for sure. Thanks for your kind words! 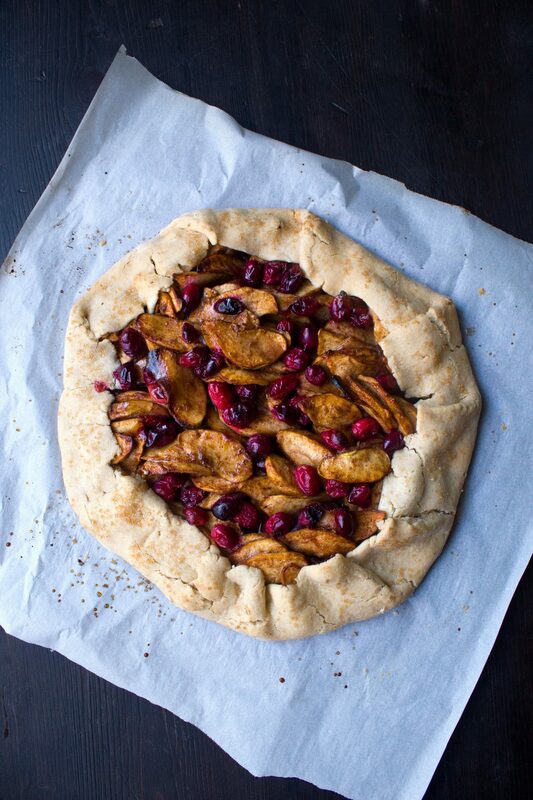 Wow, this is such a beautiful galette! I just adore heirloom tomatoes, and this is seriously the best way to use them. Almond flour is seriously my favorite thing right now, so I was so excited to see that’s what the crust was made out of. Can’t wait to try!! Aw, thank you, Liz! Please let me know if you get a chance to try it. Have a great weekend, friend! This looks delicious! It also looks like something I could easily mess up haha. But perhaps I’ll give it a go! Wow, so artistic and I bet so delicious! Thanks Raj! It was so yummy! This looks so so delicious! And your pictures are amazinig!